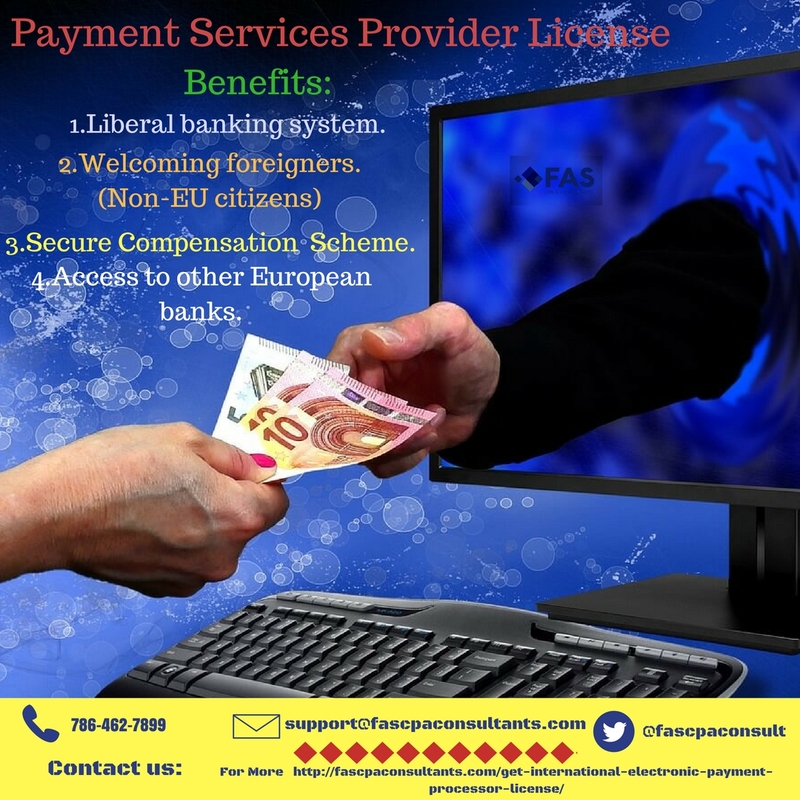 An Electronic Payment Service Processor (PSP) license allows you to create new accounts for you and your customers, make transactions, earn money, issue credit, and debit cards and even convert funds into cryptocurrencies. A Financial Service Provider (FSP) in New Zealand offers a PSP License, which you need to know more about. Taking and accepting of customer funds through bank transfer, credit card or bitcoin. Applies to both individual and corporate. Processing and transferring funds on behalf of third parties. An unlimited number of customers. Issuing of debit cards and transfer of funds to the card accounts and their withdrawals by the cardholders. Offering merchant and payment account solutions to third parties. Conversion of currencies into Bitcoin, Ripple and other cryptocurrencies. $65,000 – complete package, includes fees, company formation costs and license application fees. Recent Business plan with a 12-month forecast of all processes incl. full financial statements, comments, and explanations such as compliance procedures, etc. A detailed description of payment modules to be used. Description how the customer funds safety will be ensured. All documents need to be translated into English if the originals are in other languages. Company formation and documentation set-up to be started. The licensing procedure to be started. The timeline is 90 days. If you are a financial service provider or interested in starting a business in the industry, it is worth applying for this PSP License. If you need more information and assistance with your application, please contact us.